10) Free Industrial Sized Wooden Spool- Finally, something for my industrial sized cat to play with. 9) Free Bongos- Ever wanted to join a hippie drum circle, but felt nervous due to lack of proper equipment? Get your confidence and start the free love today. 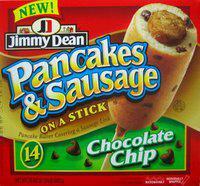 8) Free Box of Jimmy Dean Pancake Sausages- Ironically would be the healthiest thing I ate today. 7) Free Coffin (Slightly used)- I personally like my coffins disposable, but hey, it’s free. 6) Free Toupee- Given away because “squirrels chase me down the street”. Could have something to do with the nuts inside your head, not the rug on top of it. 5) Free Oompa Loompas- Great with kids, but not house broken. 4) Free Antique Dentist’s Chair- Make your your insane uncle’s birthday present special this year. 3) Free Wooden Puppet- Apprently this puppet has bad homicidal intentions. I’m not the kind of person who believes in stuff like that, but I would burn it anyway. Better safe than murdered by a puppet. 2) Free Prosthetic Arm- See number 4. 1) Free Money- see the Silver Oak Casino bonus codes page for details.